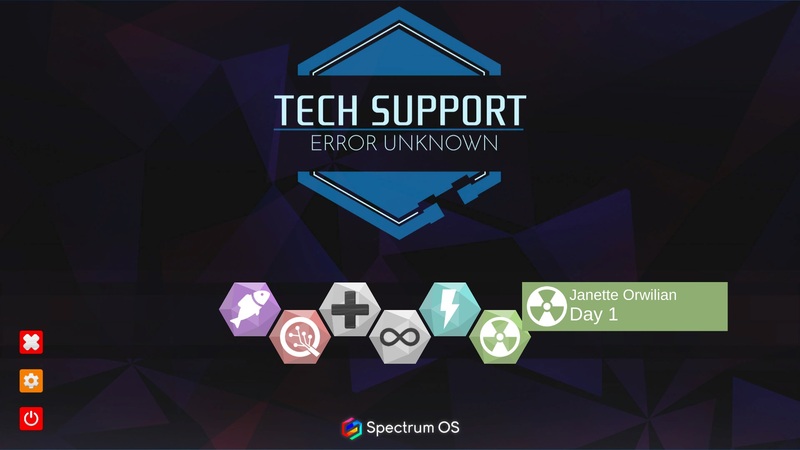 Tech Support: Error Unknown is available now on Steam for Windows, Mac and Linux. This is the conclusion to a 2-part series -- read Part 1 here. When I started working on Tech Support: Error Unknown, I expected that it would be a game about technology. 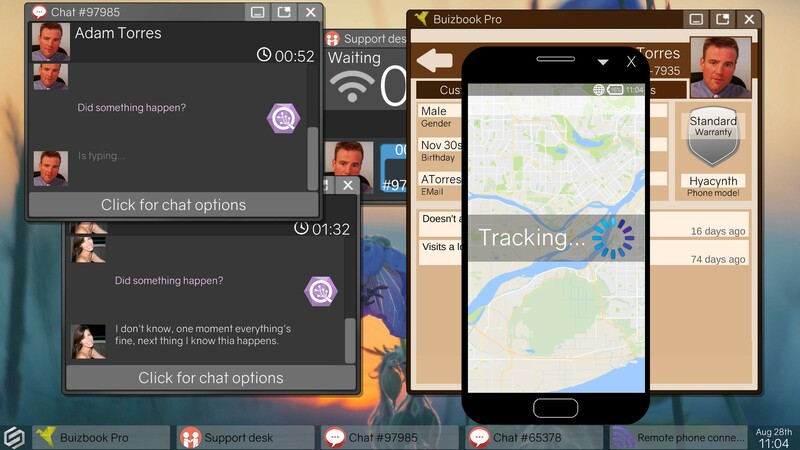 Presented through a Windows-like UI, the player takes the role of a technical support specialist, chatting with customers, trying to resolve their phone issues while navigating corporate blackmail and hacktivist groups. Unlike my previous projects, I would be tackling this one on my own, without any artists to support me. That limited my options to what type of games I could make, so I had to be resourceful and work on something which could offer a wide breadth of exploration and discoveries, but confined to a limited space. I liked the idea of using an operating system as a environment for players to explore, along with all the expected software like emails, web browser, even a terminal command prompt. I felt that I could take that novel concept and put it at the center of my game. As it evolved however, I realized that Tech Support was actually was about human interactions, including the customers trying to get their phones working and the characters encouraging the player to act on their behalf. I started researching conversations, trying to understand how different people talked online, how they shortened words, used emojis, even made typos. My game would have infinite customers, and I wanted the conversation system to craft unique personalities for each one of them. 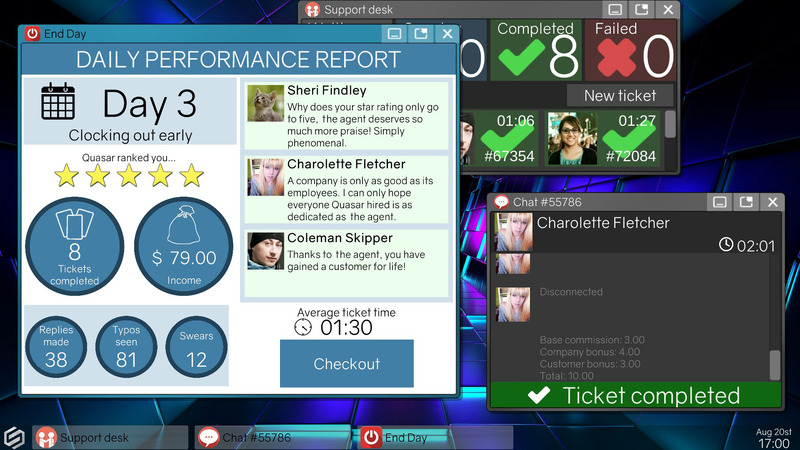 The gameplay involved the player interacting with procedurally generated customers through chat windows, using a series of macros to help conversation move faster. I decided to avoid having the player type text, because I wanted the system to always understand exactly what they're trying to say, as well as accelerate the gameplay. The game would start simple enough and new replies would be earned while progressing through the story. They can even hack the system through the terminal command prompt to open new opportunities. Tech Support offers a more open-ended experience than my previous games, with players free to engage in the conversations the way they choose, pick their allies accordingly and explore their computer environment to discover various story threads. It provides immense replayability and encourages several runs through hidden secrets, diverging paths and multiple endings. A theme like Tech Support could accommodate any number of devices, like laptops, computers and general electronics. Instead, I decided to really dive into the depths of a single topic and felt the ubiquity of smartphones to be the perfect candidate. This in turn influenced Tech Support's central theme of privacy. In an era where hacks become more frequent and where governments and private companies can track us or listen in on us through our phones, it felt like an important theme to tackle. But I didn't want to make the game about a simple, shallow, power hungry group. Everyone has a motivation driving them towards their actions and I wanted the player to choose what they felt is right. I also wanted to bring a different perspective towards some of the stereotypes we're accustomed to. A lot of people asked me if there were Indian Tech Support specialists in my game, and there are, but I wanted to humanize them and show a bit of their reality as well. So, I wrote the story of a conflict between a large corporation and a hacktivist group trying to take them down. Neither were black nor white, each feeling their actions righteous given the context and leaving the player to choose who to join, or to follow one of the numerous other groups instead...or even follow one of the more selfish paths. The game doesn't judge, it allows you to consider every perspective, provides you with as much information as possible, and lets you make that final decision. By the time you read this, Tech Support: Error Unknown will be released on Steam, and I'll read every review and hear every comment. The game's design is so unique that it is difficult to predict if it will resonate. I hope that the theme will make players curious, and that they'll feel encouraged to explore and go beyond what a regular specialist can do. As for me, I simply can't stop making games, it's a passion that will carry me forward well beyond this game. It's certainly not for the faint of heart, it doesn't offer the stability of a regular job, and every so often the game you've poured countless months of work developing is torn to shreds by the critics in a moment. It's scary, it's exhilarating, and really there's nothing else I would rather do. So to all the aspiring independent game developers out there, I hope you will approach your passion with the understanding it requires. Figure out your goals as a developer, think beyond your current project. This is especially important if you want to make a career out of it. Accept all the help you can get. Though we feel pride when we manage to do something by ourselves, games are complex beasts with a lot of competition, and we only have so much time. Working with Iceberg Interactive has raised my work to a level I couldn't have on my own and I only expect it to do even better moving forward. Keep yourself open to new ideas. Tech Support is not the game I thought it would be when I started working on it -- mechanically or thematically. Creation is ultimately an organic process. Some days you'll be disappointed -- but for every one of those there will be a day that surprises you too. And finally, if you're working alone -- don't let yourself become isolated. I actually broadcast most of the work I do live on Twitch, and I can't describe how incredibly grateful I am to everyone who has supported me, challenged me and inspired me there. Some of this can be daunting, and all of it is tough to do at one point or another. You never know how people are going to react when you release a game. Tech Support: Error Unknown marks the end of another chapter in my career, and whatever happens, I'm proud of it.